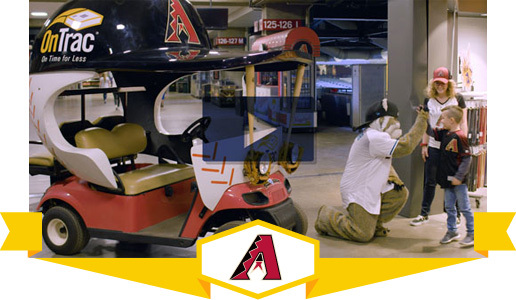 OnTrac is a Proud Partner of the Arizona Diamondbacks! Look for the OnTrac Bullpen Cart at all home games during the 2019 season. Go D-backs! Service Alert: : A mechanical issue will delay some shipments to the Sacramento, CA area by an addistional transit day. Please track your shipment for the most updated status. For more information, please see our Service Alerts. OnTrac Logistics is the faster, more affordable alternative to the National Delivery Companies' Ground service. Small-package shippers choose OnTrac because we can speed up their last-mile services without increasing their logistics spend. We provide the abilities you expect from the National Delivery Companies without sacrificing flexibility, professionalism, and cost.